This is the follow up to the Natian Brewery interview series. Ian is a real class act, and I really hope you can come meet these excellent additions to the Portland beer scene in February hosted by The Guild Public House and #pdxbeergeeks. Favorite Beer: I kinda have to say Yuengling. I grew up in Pennsylvania and was raised to enjoy the oldest brewery in America. When I say “raised” I mean by my high school friends that could grow beards at 16 and avoid being carded. They turned me on to the good ole tradition of Yuengling. Favorite Beer Haunt: I expect people are wanting to read Bailey’s, Laurelthirst, Eastburn but to be honest I’d have to say a campfire or as a substitute, sitting next to the woodstove in the living room. 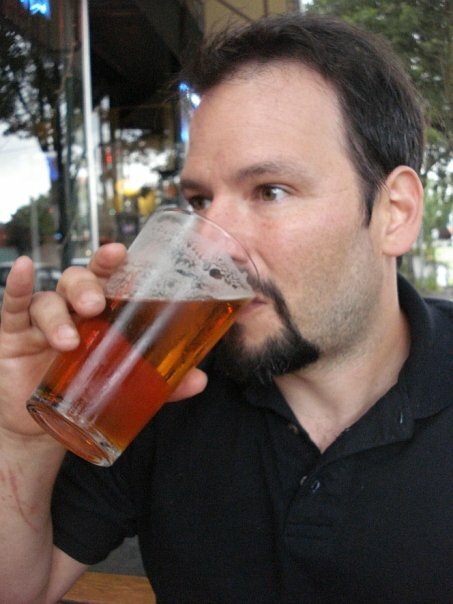 What was the first craft brew you ever tried? What did you think? Yuengling in Pennsylvania but when I went off to school in Santa Fe, New Mexico I had an IPA at 2nd street brewery right off of campus. I was new to the scene and trying all that the Rockies had to offer. Lots of beer that was new to a guy from the east coast. IPAs blew me away, helped open my thinking to “what actually goes into beer” and quickly afterwards pushed me into homebrewing. Do you homebrew? If yes, favorite homebrew to date: my homebrew equipment is the brewery so technically, no, I don’t homebrew any more… I think my favorite homebrew was a “mexican lager” Germans brought traditional lagering techniques over to Mexico and I think I made a pretty nice variation. Perhaps when Natian gets big enough equipment, we’ll pull the old recipe out of the vault. How’d you hear about the pdxbeergeeks? Knowledge of pdxbeergeeks was instilled in me at birth. They have always and will always be, to me. They are the alpha and the omega. Oh wait, no, I was consuming at the Guild Public House re-opening and met Michael. Goods times were had! 1. Looking good with a beer at my lips. If you could change one thing about beer culture in the US, what would it be? Don’t necessarily want to change it, just want enthusiasm for American craft beer to continue its growth. What do you love about Portland’s Craft Beer scene? It’s a great vehicle to meet new people and make more friends!